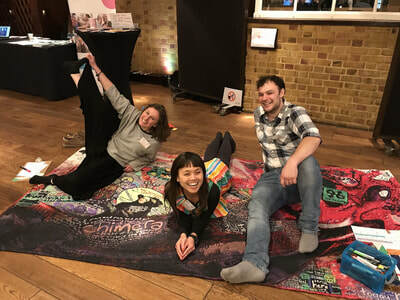 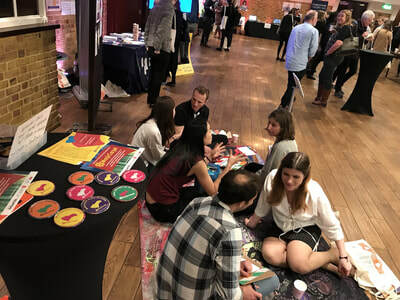 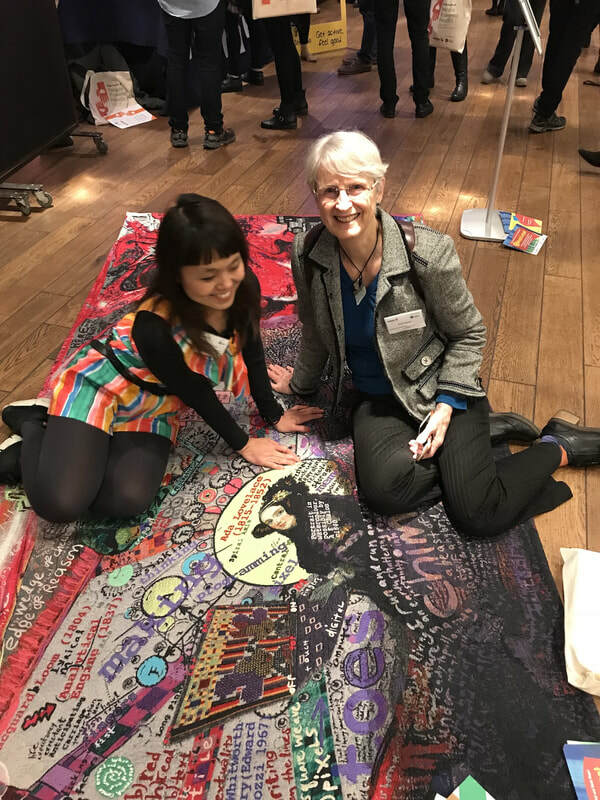 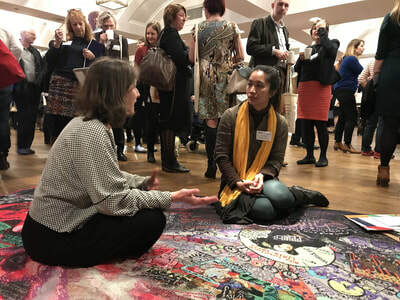 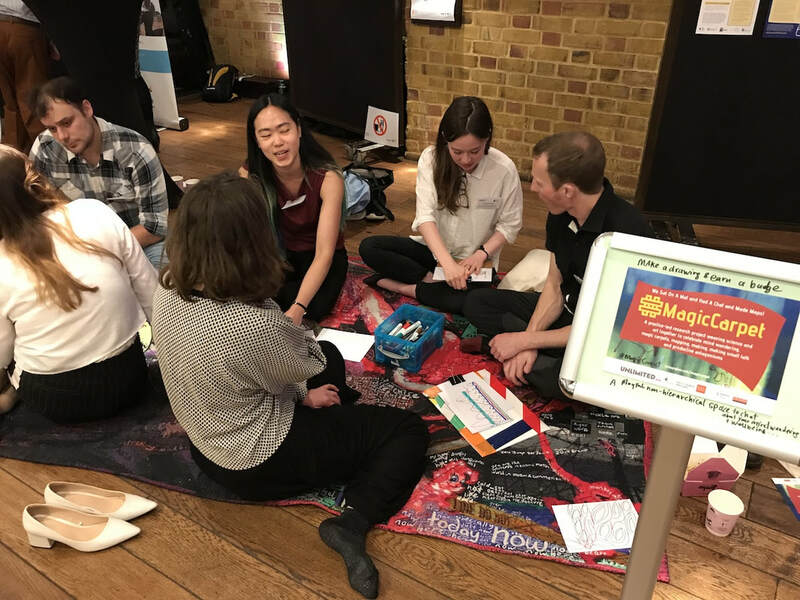 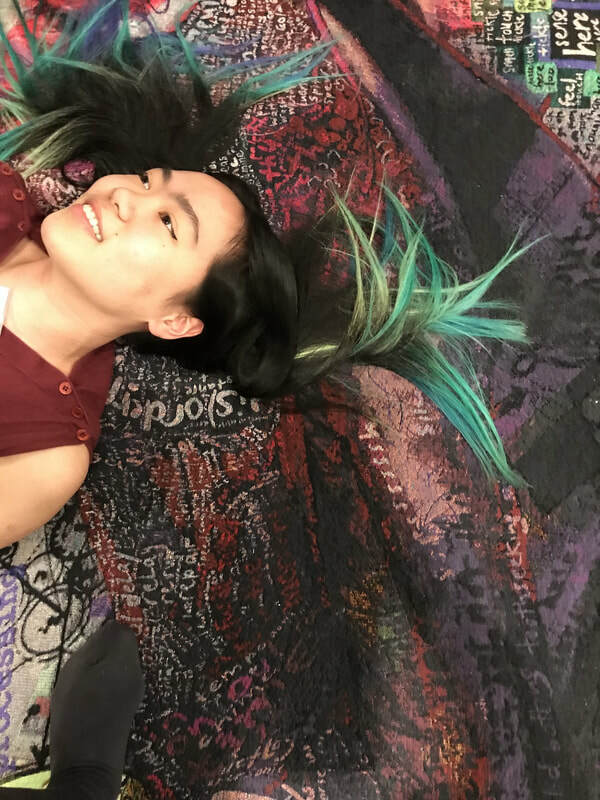 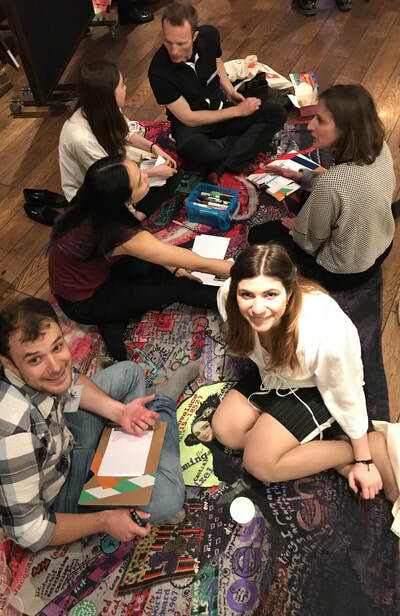 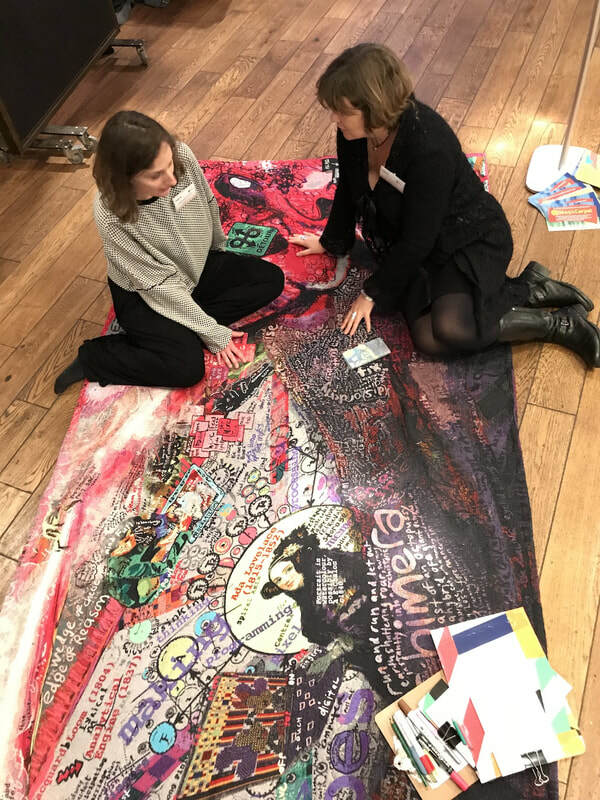 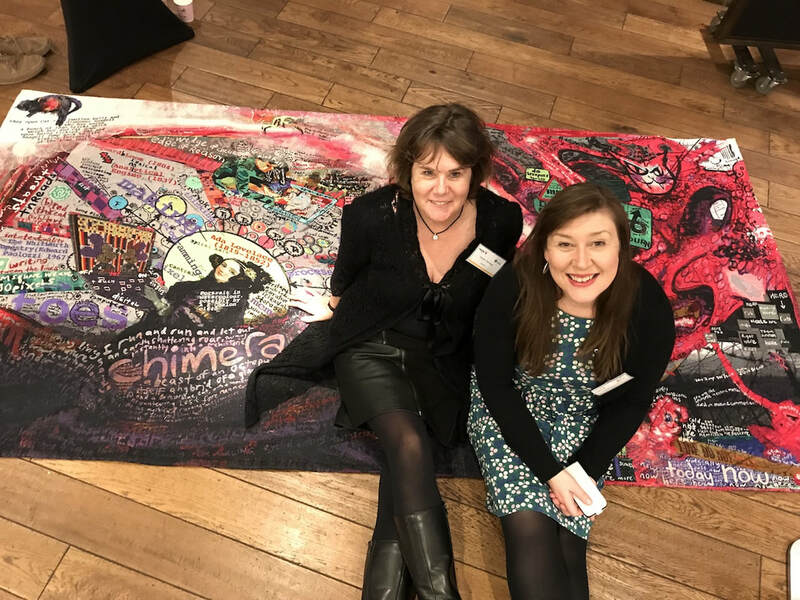 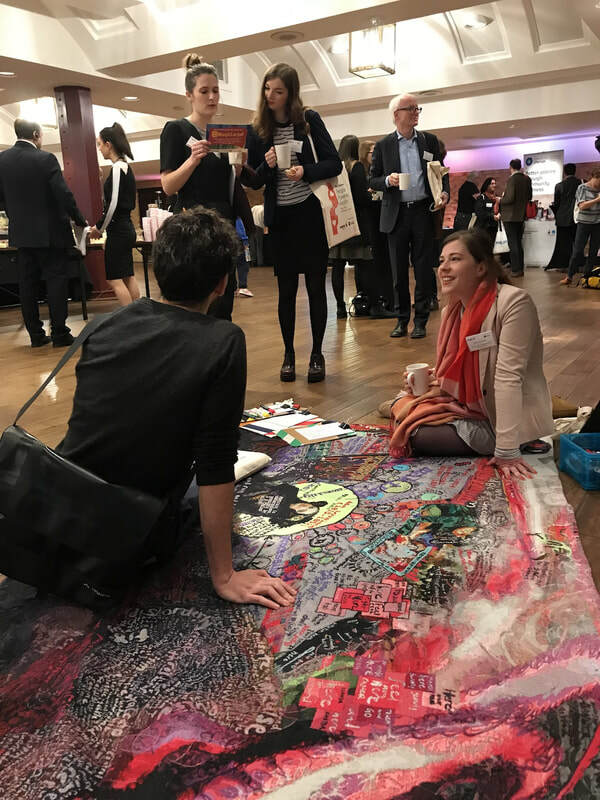 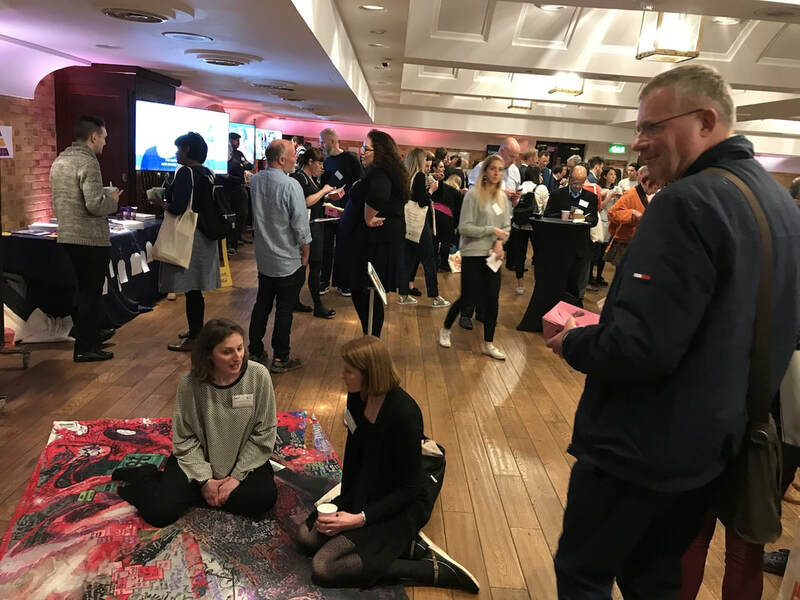 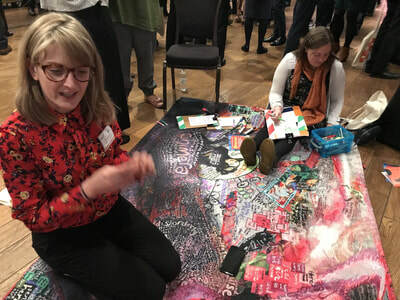 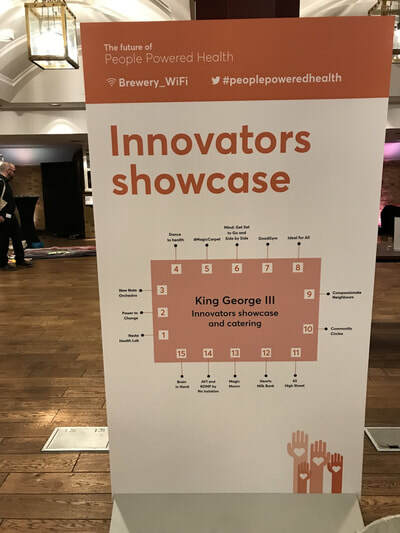 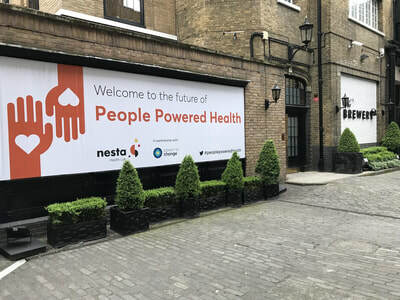 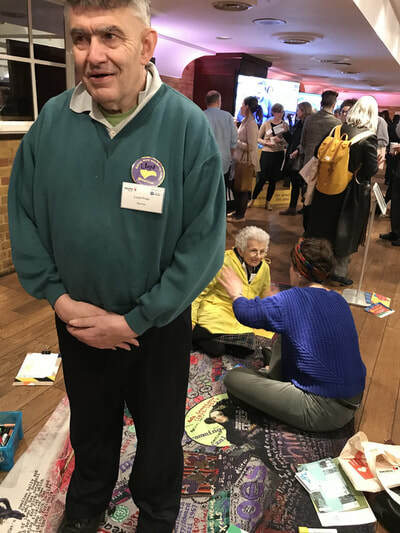 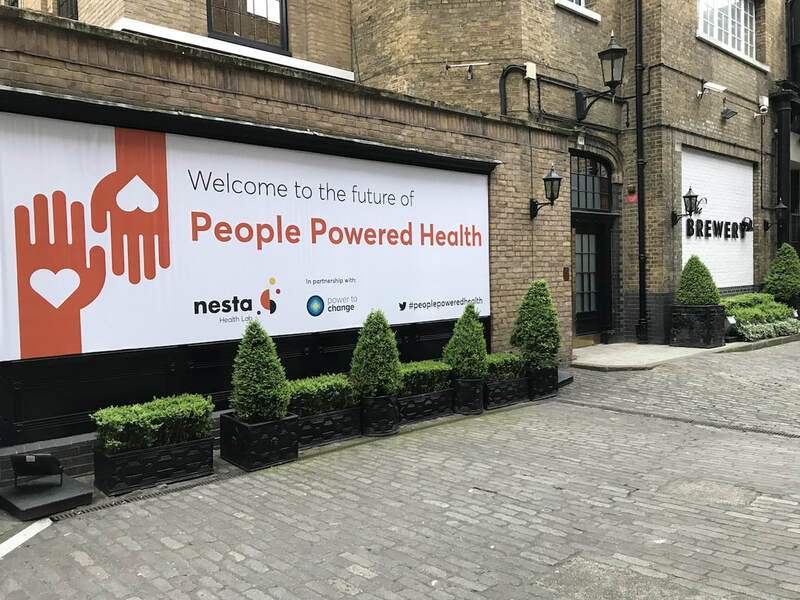 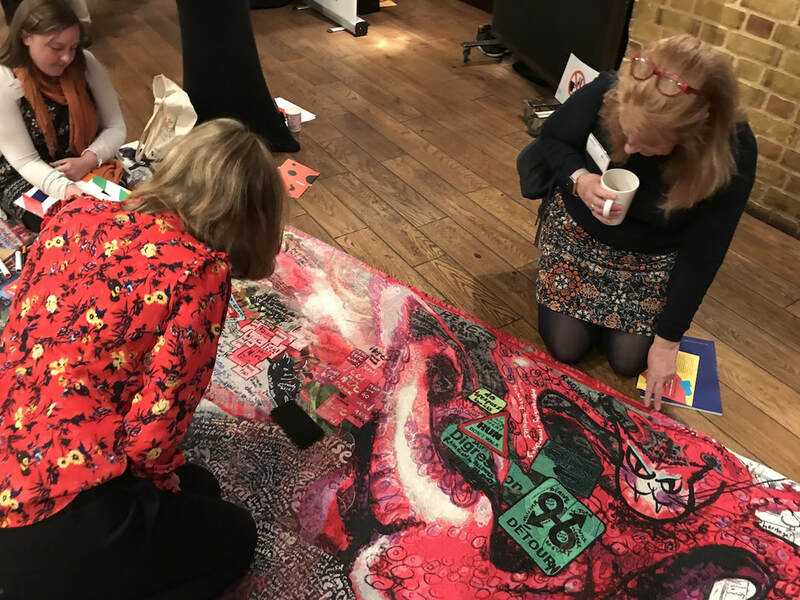 On 2 May 2018, Kai flew the #MagicCarpet as part of the Innovators' Showcase at The Future of People Powered Health, organised by NESTA (National the ​​Endowment for Science, Technology and the Arts) at The Brewery, EC1. 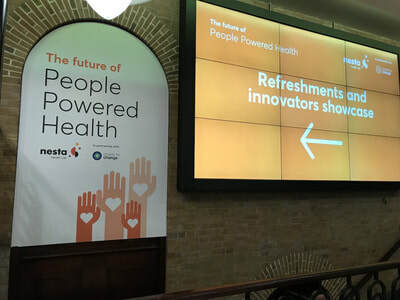 The programme was attended by 500 health workers and policy makers. 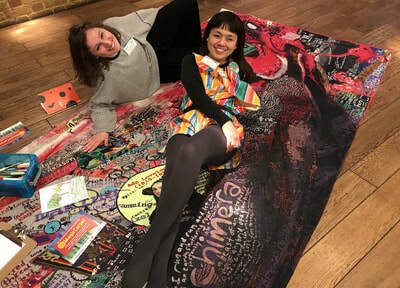 With guests arts curator and producer Alessandra Cianetti and Registered Mental Health Nurse and ADHD researcher Peter Reid, we chatted with attendees about power, empowerment and agency in health. ​Alessandra Cianetti also raised questions about the future of the NHS, and Peter talked about the role of the third sector. Many people commented on how 'beautiful' the carpet was! 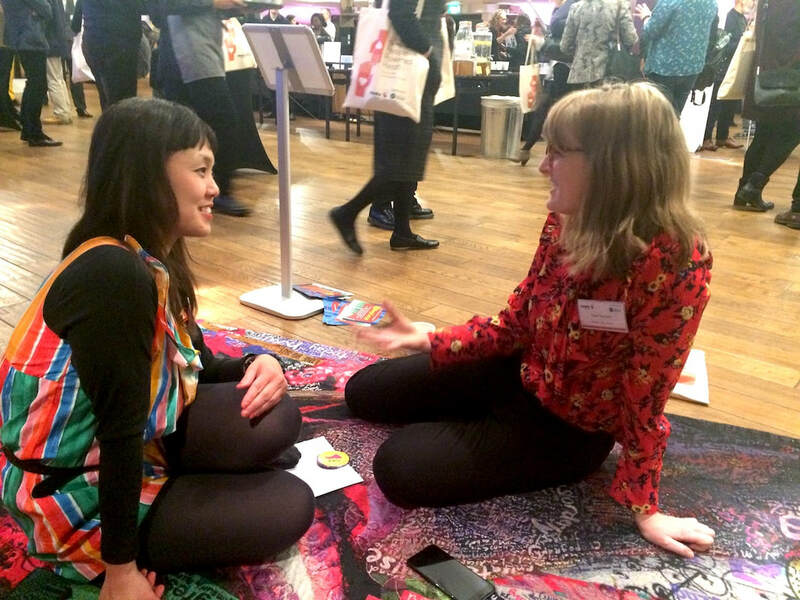 A Professor for Social Pharmacy states 'Meeting you was the highlight of my day'. 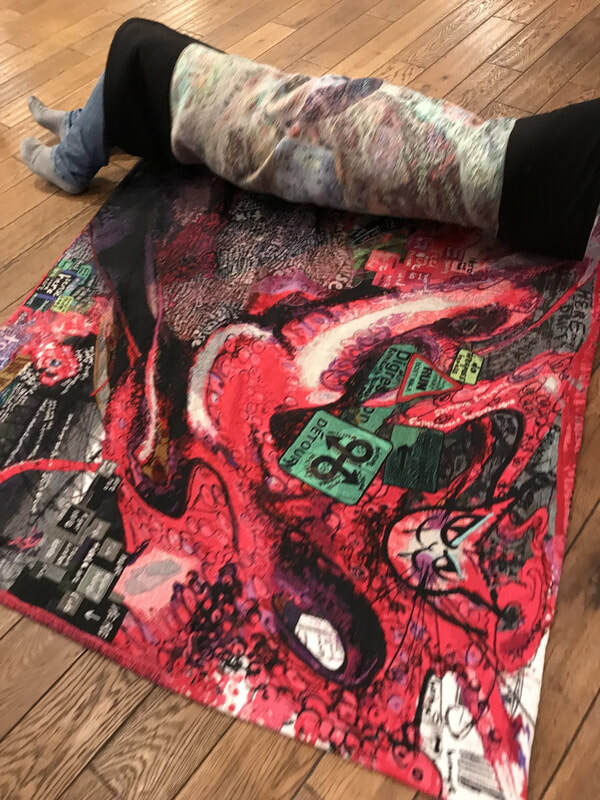 More than one person enquired about buying the tapestry. 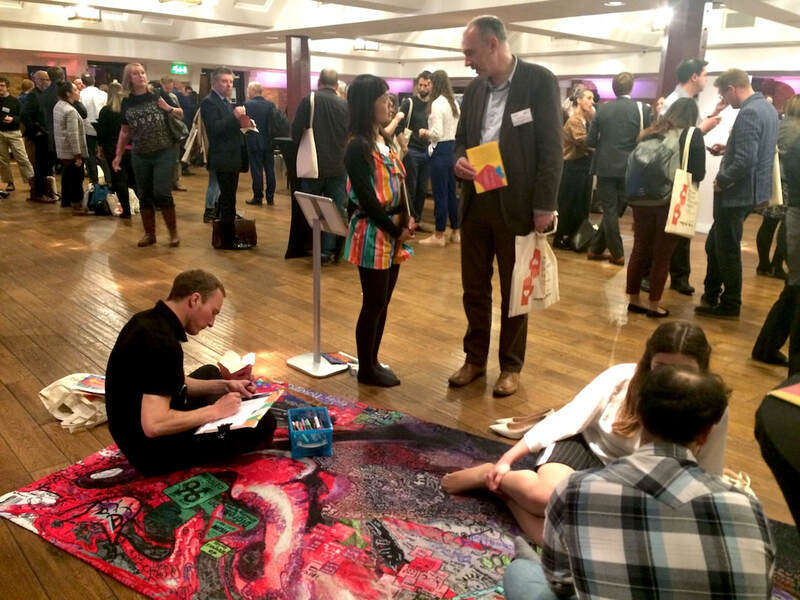 They also made drawings about their mind wandering.